Amendments to journey claims provisions were introduced in 2012 as part of restrictive legislative reform of the Workers Compensation Act. Prior to June 2012, an injury received while travel- ling to or from work would be considered a compensable journey claim. These claims were then winnowed down by subsections that disentitled a worker to compensation for an injury attributable to their own “serious and wilful misconduct”, or where a worker had “materially increased” their risk of an injury with a deviation on their journey.2 In essence, journey claims were an extension of an employer’s liability to their employees, stretching from the boundary of the workplace to the boundary of the home. The change to the legislation was heralded by many as the “end” of the journey claim. This proved to be an overreaction, although the fear it engendered may probably functioned practically to discourage many workers from bothering to claim or dispute journey claim denials for some time. By way of example, in response to the journey provision changes, some unions took up “journey injury insurance” policies, intended to cover the gap for their members. The uptake of these policies probably caused the legislative effect of s 10(3A) to be overstated — it is likely that many good journey claims were not even brought, as unions and workers made do with their new backstop insurance. This article is a quick note on the salient facts/ elements of journey claims post-2012 — a reminder that journey claims persist, albeit in a different form. It contrasts the elements of “good” journey claims with the reasoning in Ballina Shire Council v Knapp4 (Knapp). Knapp functions as a reminder that not all injuries received on a journey will transform into a “journey claim” under s 10. Though it is not suggested that Knapp was at any stage miscategorised, it is a helpful case for testing potential flaws in our own thinking. It is useful to be reminded that not all injuries on the journey must necessarily be “journey injury claims”. To assist in understanding the significance of Knapp, it is instructive to recap (quickly, for they are now well-reported on) decisions in the leading authorities — Namoi Cotton Co-Operative Ltd v Easterman (as Admin- istrator of Estate of Easterman)5 (Easterman), Singh t/as Krambach Service Station v Wickenden6 (Wickenden) and Field v Dept of Education and Communities7 (Field) — wherein a real and substantial connection was found. As the employment had required Ms Wickenden to travel home in the darkness that caused a delayed reaction that caused her to be struck by the car, a “real and substantial” connection could be made out on the facts. From the cases, it can be plainly seen that employment need not be the direct or sole cause of the accident, but must have some factual and causal association with it — a lesser test, more easily satisfied. With reference to Wickenden, we see that the direct or proximal cause of injury was being struck by an oncoming vehicle, and has nothing to do with the work of Ms Wickenden directly. But to approach the problem from that perspective is far too narrow and produces the wrong result. Looking at the “accident … out of which the … injury arises” requires conceiving of the accident in broad terms. Further, the employment should not be narrowly defined (ie, thinking of employment only as a series of tasks and duties performed at a place of work) but should instead envisage all of the requirements attendant upon it (such as being at a given place by a certain time as in Field, or as in Easterman as having by its nature caused the worker to become unusually fatigued at a period after the work tasks had finished). It would have led to error to think of Mr Field’s employment narrowly as “teaching in a school” as being causally related to the accident on the footpath in front of the school — plainly there is no connection between those things. It was the characteristics and requirements of his employment broadly (the urgency imposed by his employer’s strict starting time) that acted upon him that introduced the necessary causative factor in his injury. All of the cases rely to some extent upon inference based on the evidence (in Wickenden, about the role of darkness in reaction time of drivers, in Field about the state of mind of the claimant when rushing to work, and in Easterman about the level of fatigue and its role in a car accident). As an example, it is critical that in Field, Mr Field gave evidence (by way of statement) about his knowledge regarding his employer’s strictness about being at school by 8.30 am, and that he had only been called by the temping agency to go to that school at 7.30 am — both pieces of evidence were necessary to inferentially reason that some real aspects of the employment (strict punctuality combined with a lack of time) had been causative of his accident (failing to take proper notice of the footpath while rushing). Practitioners should therefore be very careful to consider whether sufficient evidence is available to allow a proper exercise of inference in s 10(3A) cases. In Knapp, Mr Knapp was travelling to work one morning and, on evidence he gave in his criminal trial, was attempting to call his employer to advise that he would be late. While doing so, he caused a head-on collision, killing the two occupants of the oncoming vehicle and suffering severe injuries. He pleaded guilty to a charge of dangerous driving occasioning death and was sentenced to 12 months’ imprisonment. Mr Knapp brought a claim for compensation, which was initially disputed but ultimately accepted in the New South Wales Workers Compensation Commission. 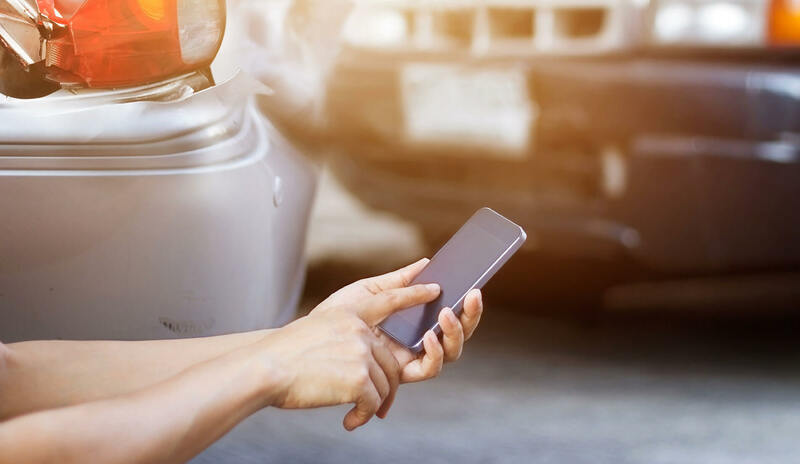 The Arbitrator found that Mr Knapp’s injuries arose out of an accident which had a “real and substantial connection” to the employment because he had been using his mobile phone to call his employer to say he was running late. On appeal before Wood DP, the Ballina Shire Council argued its case only on the ground of “serious and wilful misconduct” — it impliedly accepted that the “real and substantial connection” finding was appropriate. The Deputy President found the misconduct was “serious and wilful”, having regard to “contemporary social standards” as to road safety and the use of mobile phones while driving, and noted that Mr Knapp was disentitled to benefits under s 10(1A). Ultimately, Mr Knapp recovered compensation under s 4 of the Act, as the authorities make clear that “if the injury arose out of employment the misconduct is irrelevant, even when the misconduct is such that it takes the worker outside of the course of his employment.”10 While Knapp lightly extends the outer perimeter of a “real and substantial connection” (work-related mobile phone use causing accident), it simultaneously spotlights the kind of conduct that might constitute “serious and wilful misconduct” — more importantly, such a phone call arguably now brings a worker back within the scope of s 4 injury which arises “out of … employment”, rendering a journey claim irrelevant. Practitioners should be aware that some conduct that so substantially connects an accident with the employment will simply bring the worker’s injury back into s 4. Ballina Shire Council v Knapp  NSWWCCPD 35; BC201807956. For a useful summary of inferential reasoning, see above n 5, at –. 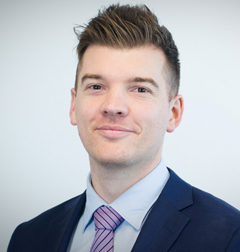 James is a key member of the Compensation team at Carroll & O’Dea Lawyers, drawing on his long sporting experience to help clients facing difficult issues.